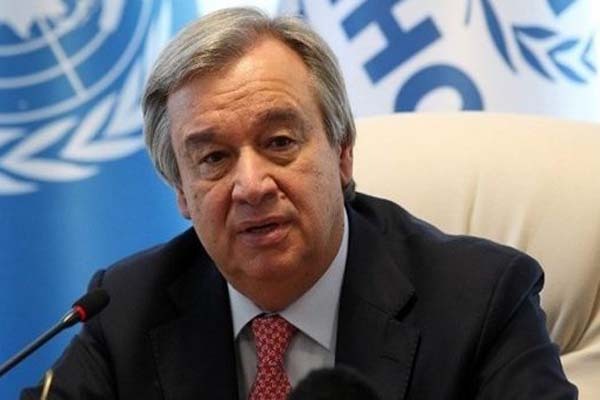 UNITED NATIONS, Mar 18 (APP):United Nations (UN) Secretary-General Antonio Guterres has expressed his sorrow over the heavy loss of life in Indonesia’s eastern province of Papua, which was hit by flash floods and landslides on Sunday. More than 70 persons have reportedly died in the disaster-hit region and dozens are missing, with more than 4,000 displaced, according to news reports. The Secretary-General extends his condolences to the families of the victims and to the people and government of Indonesia, the statement continued. According to the reports, rescue workers have struggled to reach the remote parts of Papua, and there are fears that the death toll may rise. Roads are blocked and bridges have been damaged, along with more than 100 houses. The rain began on Saturday evening and continued into Sunday, triggering flash-flooding and landslides. News reports said that at least 50 were killed in the town of Sentani, where the search for victims continues.